How often it is as servants that we become all zealous to start a service without sitting down and counting the cost involved. So often I see servants who perhaps hear a wonderful sermon or a wonderful idea and rush out to begin work on beginning this service and within a few weeks the service dies out as they lose their motivation for continuing it. To begin a service you must have two key ingredients for its success. These ingredients are prayer and commitment. Without these two essential ingredients every single service will fail and the servant will be a fool in the eyes of those he serves. It is crucial that when we get an inspiration or motivation to begin a service that we sit down with ourselves and think about it over and over again. Our Lord says in Luke 14:28 that we must 1st sit down and count the cost before we build the tower, unless we start building and realise we do not have enough resources to complete it and people begin to mock us. So let us begin to sit down 1st and see whether we have the resources to begin any service. Below is a checklist which I find helpful in my own life. • How are my current services going, are they successful…. • Will I have enough time to commence this service and continue with it week in week out forever? • Can I finance the service im about to commence, what is the cost to me, my family, my friends, my work, my spiritual life and so on? • Have you heard the Lords voice and raised the service in prayer, or is it ego driven and full of fantasy and dreams. • What is the aim of your service, is it to nourish people’s lives and reveal Christ to others, or is it purely for vain glory? • Will my service impact adversely on any other service in the church that is running at the moment. 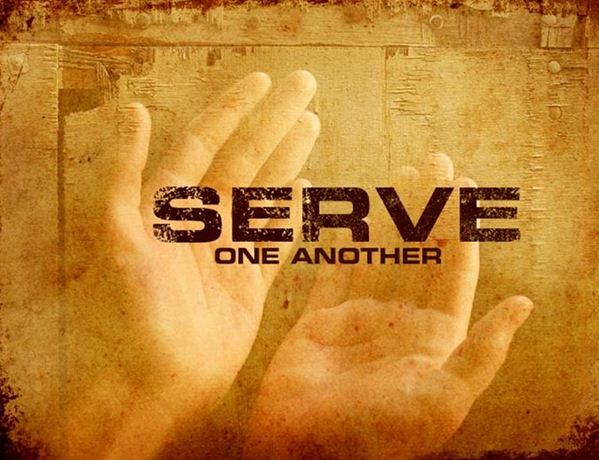 These are just some aspects that we need to think of as servants before we start any service. It’s purely embarrassing to see programs begin and just fall by the wayside because of poor planning and instinct based preparation. Let us pray and ensure that we are committed to our service before we begin any service, the rushed service is the one that is destined to fail. Our God is a God of order not disorder. Next Post Darwin’s Darkest Hour! I really thank you! It help me to stop and to watch my self & my numerous plans at sunday school & my acts as a hero to do a lot of things by myself. Consider me on your prayer!